Garfias once defined an ethnomusicologist as �someone who used to be a musician.� Those ethnomusicologist-musicians of us for whom one music is not enough will always owe a great debt to the worldwide fraternity of musicians who warmly embrace us as brothers and sisters. 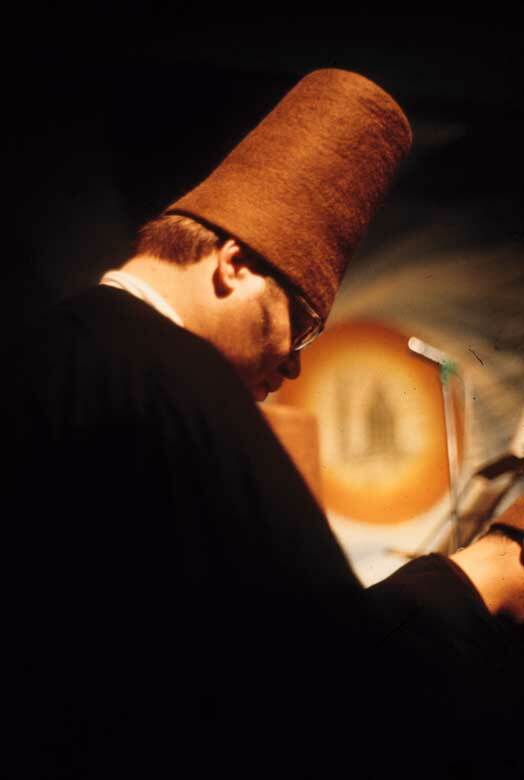 In the spring of 1970 I departed from the University of Washington for Turkey to spend two years� fieldwork there preparing to write my PhD dissertation under Garfias�s guidance. From late-1970 through mid-1972, I learned the Turkish ney reed flute in Istanbul with master musician Akag�nd�z Kutbay. I recount below my memories of him as a tribute to Aka and as a tribute to all the great musicians that Garfias learned from during his field work in so many countries.